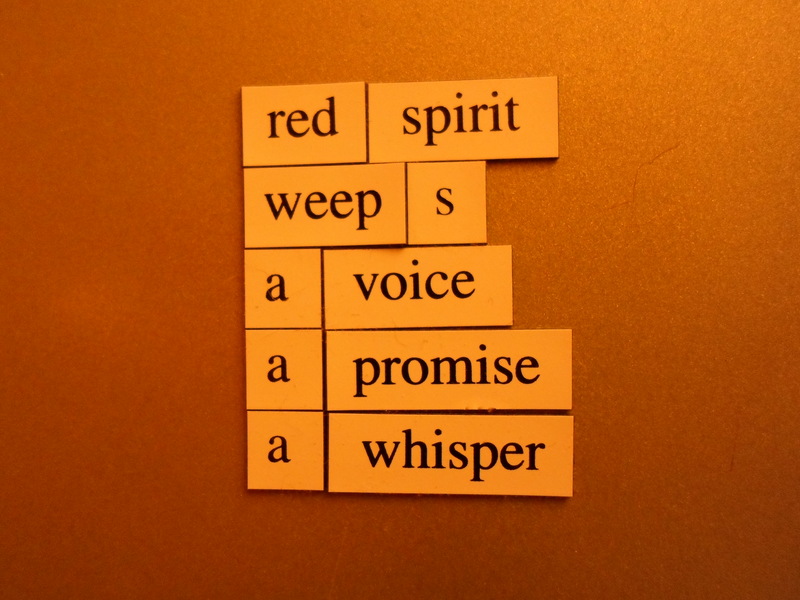 Found Poetry and my Missing Cookie Sheet! Next postI Thought I’d Be A Grown Up By Now! Nice! And the cookie sheet is a great idea– thank you for sharing. Were they in the same cabinet?? Really neat! I love the way you placed the words!